Everything about this session feels like spring to me (despite the chill wind that day!). The fresh green grass. The cascading apple blossoms, touched with just the faintest pink on the on the buds. The tiny leaves unfurling from the branches. And these two, so in love and so joyfully awaiting the arrival of their daughter whose birth will usher in a fresh new season for their family. 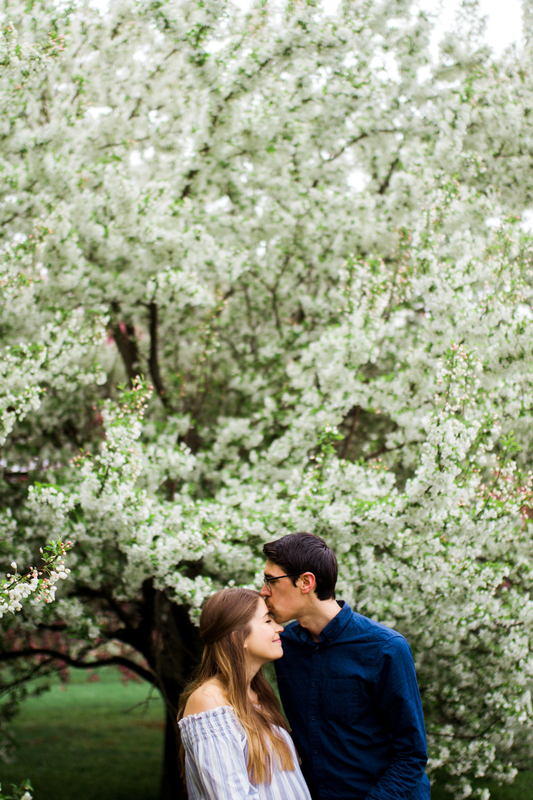 It was such a sweet privilege to photograph Rachel and Daniel in this season as a couple. 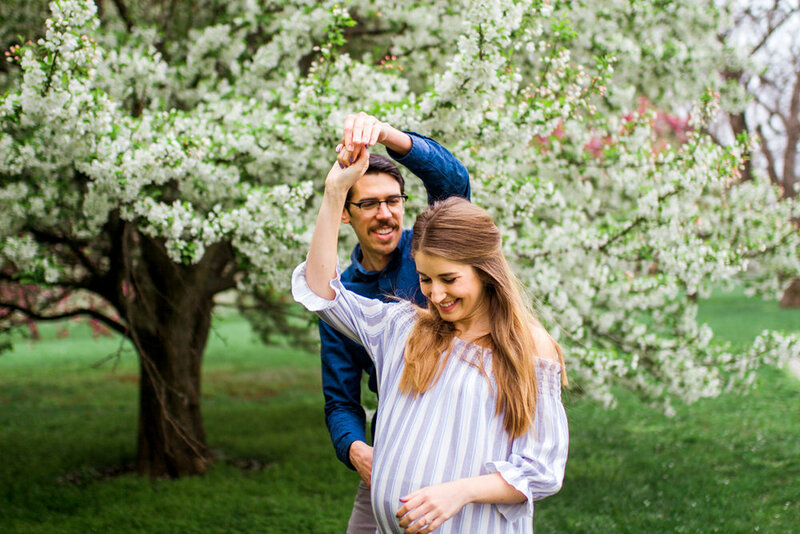 They’re still in their first year of marriage and now share the sweet anticipation of this little girl who will utterly change their life. They both have great style, but more than that, they wear their love for one another. You can see it in the little things: the way Rachel looks up at Daniel as they walk, the way Daniel wrapped his arms around Rachel to warm her up between shots, and the way she nestled into his arms and the soft kiss he planted on her forehead. To me, this is what maternity sessions are all about. Though I find pregnant bellies incredibly beautiful as they curve around the growing new life and I feel that it’s worth documenting that unique stage of a woman’s life, I particularly love capturing the parents together. 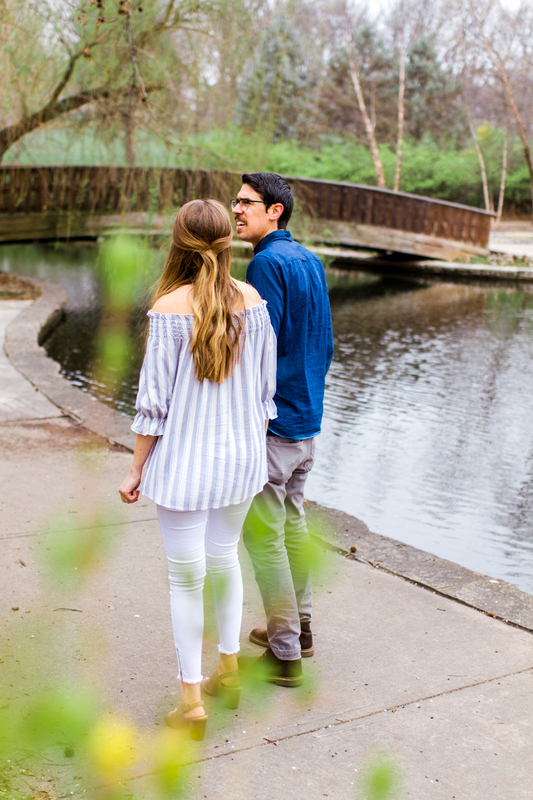 I love to take that time to document their love as they stand at the cusp of a dramatically new season, drawn closer together than ever before by the anticipation of this new life, the embodiment of their love. There’s nothing quite like it!